• Average life 5000 hours. 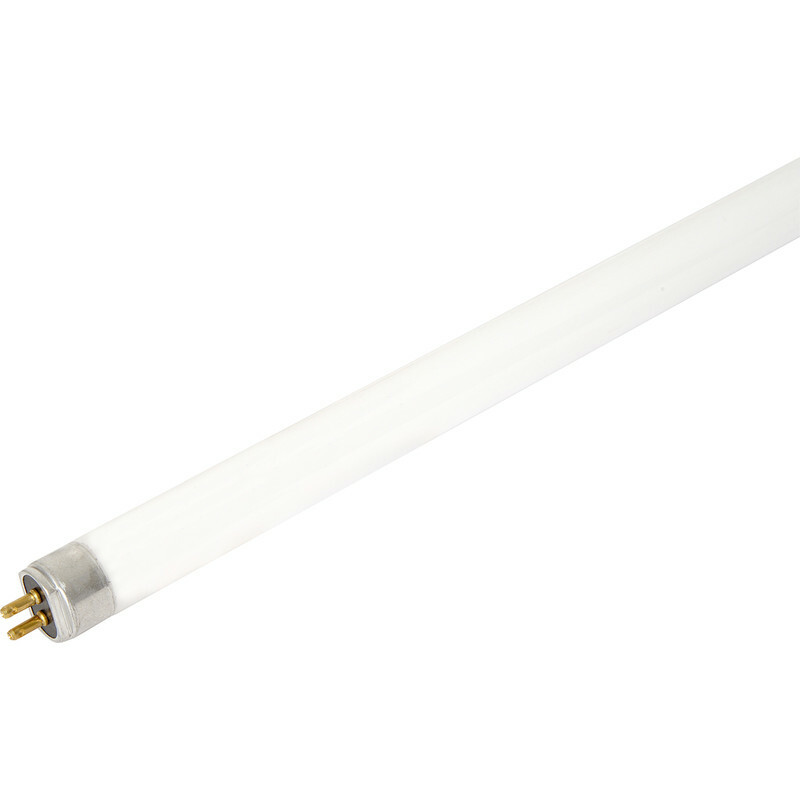 T5 Fluorescent Halophosphor Tubes 8W 300mm 470lm is rated 4.8 out of 5 by 17. Rated 4 out of 5 by Siw80 from Good illumination Clear white light illuminating work surface. Rated 5 out of 5 by JD99 from Cheap replacement! Cheap way to replace the dead fluorescent tubes in my fish tank, much cheaper than the manufacturers own brand and just as good. Rated 4 out of 5 by AlfieNSGS from No more disco lights under the kitchen shelves I wasn't sure of the difference between white, cool white and warm white, so I decided to replace the lot. They all work, which is nice, but for how long I have no idea! It does promise 5,000 hours, but sadly the review couldn't wait that long. Rated 5 out of 5 by Frank11 from Very Elluminating A cost effective no nonsense replacement. Rated 4 out of 5 by DrLee from T5 Tube Changed to pink after 2 days only one unit the others are working well. Nice and bright.